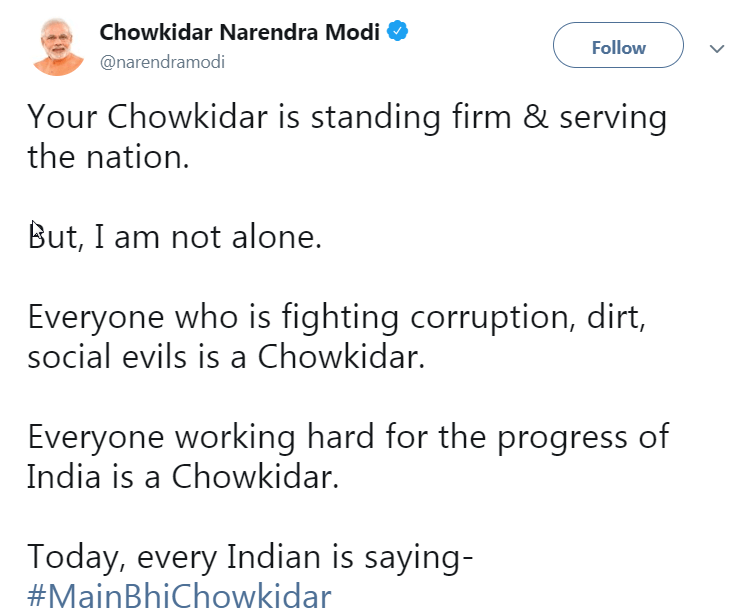 A couple of days back , PM Narendra Modi launched the #MainBhiChowkidar campaign with a tweet in his official twitter handle. When you publish a tweet with the #MainBhiChowkidar hashtag , you will more likely receive a personalised reply from the official @narendramodi twitter handle. #MainBhiChowkidar – An Intelligent Twitter Bot ? Various sources online indicate that the technology behind this is a Bot and built by a company names Opalina Tech based out of Noida. The Bot does some interesting stuffs like replying with unique set of tweets or the wordings are different for each replies , the images of the prime minister Mr. Modi which is embedded in the tweets were different. There are both the positives and negatives when using technologies like these…. Lot of people appreciated the campaign while there were few who trolled as well citing ‘Botendra’ Modi or Narendra ‘Botji’. Although , we are not aware of the exact technology or framework that was used to build the bot , there are quite a lot of frameworks available for the developers to build the intelligent bots. If you are one of those developers who wants to learn how to build bots , here are various frameworks and libraries that helps you to do it. Microsoft Bot Framework – A comprehensive framework for building enterprise-grade conversational AI experiences.